in multiple sizes, choose the size you want in the drop down menu box. Paisley_A_50, from my Contour Paisley Accents collection, in a Superior variegated thread. 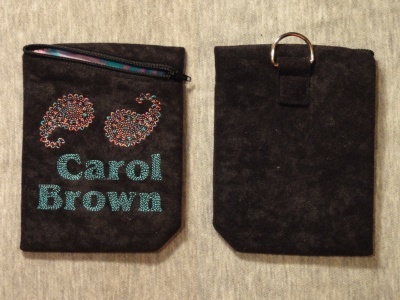 long strap and the pouch is now a purse! I used the large size of pouch for this purse. The design is V_12_6-color_142, available here. Here are the files you will need to complete this project. be sure to turn off all sizing options in Adobe Reader. opening on top. I used the same idea but made a pocket on the outside of a pouch, instead. do you?) I have so many pouches in my purse that this one stands up, right in the middle. down. 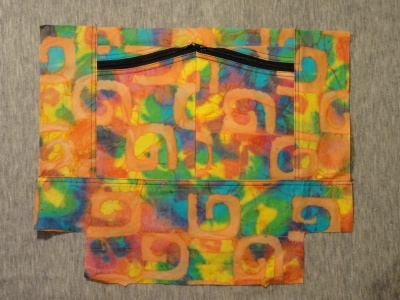 The result is that the pouches will be mirror images of each other. rather than at the lower end.) I unfolded the pouches and placed them right sides together. fabric. I stitched in the ditch between the pouches to create two pockets behind the pouches. 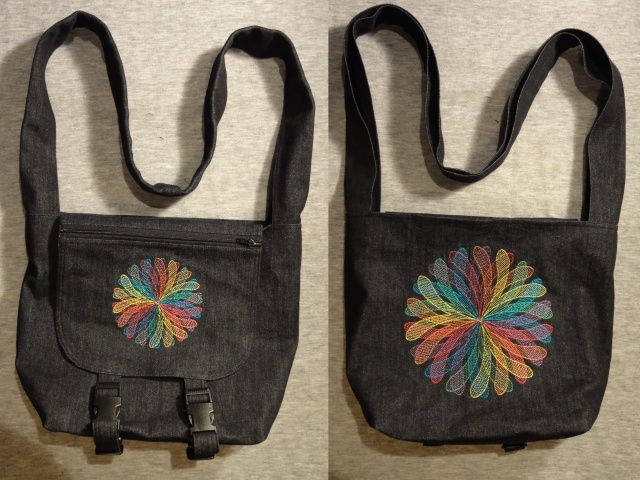 Finally, I added side and bottom pieces of lining to complete that half of the lining for the bag. has the same design sized for the 200 x 200 hoop. I really like how the bigger size pops. 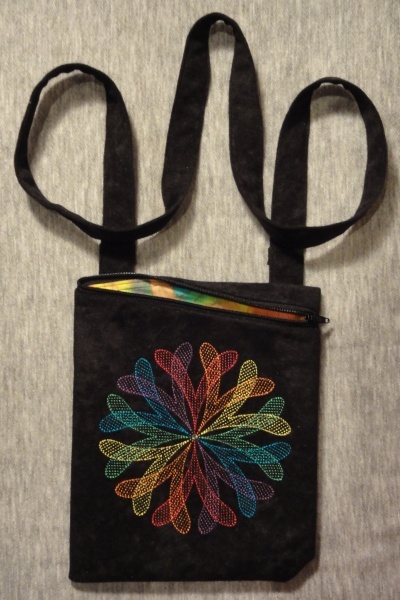 Neat pouches, love the swirl design. Thank you for your kind words. 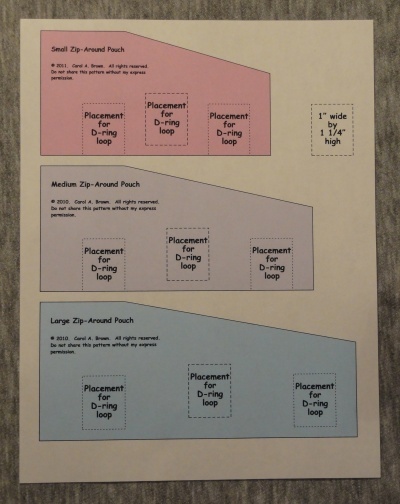 Please make a pouch and show us what variations you can add, too.